1. 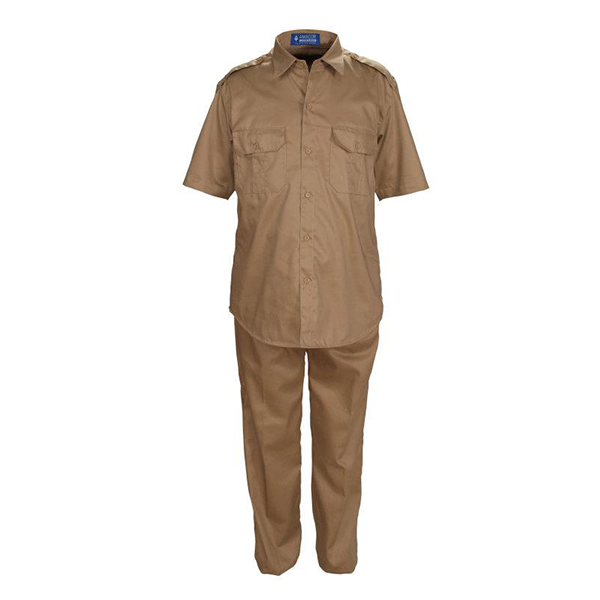 POLO - khaki wool or twill material, long and short sleeves, sports collar, two front pockets with shoulder strap; pants- khaki wool or twill material with side and back pockets. Sizes: S, M, L, and XL.